The directors of Nova Minerals Limited (ASX:NVA) (FRA:QM3) are pleased to provide an update on the Thompson Brothers Lithium Project through its soon to be listed Snow Lake Resources Ltd. The directors of Nova Minerals Limited (ASX:NVA) (FRA:QM3) are pleased to provide an update that current works are fast progressing for the forthcoming exploration program at the company&apos;s district scale Estelle Gold Project and provide a project schedule of works. 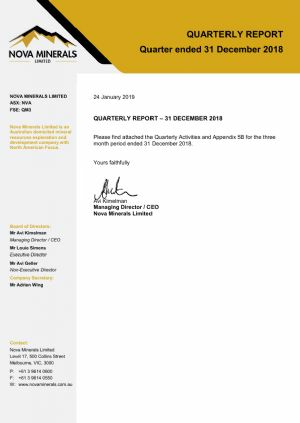 Your Directors present their report on the consolidated entity consisting Nova Minerals Limited (ASX:NVA) and the entities it controlled at the end of, or during, the half year ended 31 December 2018. The directors of Nova Minerals Limited (Nova or Company) (ASX:NVA) (FRA:QM3) to provide a operational update to the market across our project portfolio. Nova Minerals Ltd (ASX:NVA) provides the Company&apos;s Quarterly Activities Report for the period ended 31 December 2018. The directors of Nova Minerals Limited (ASX:NVA) (FRA:QM3) are pleased to announce further encouraging drill results at the Officer Hill Gold Project in joint venture with Newmont Tanami Pty Ltd (a wholly owned subsidiary of Newmont Mining Corporation). Nova Minerals Ltd (ASX:NVA) provides the Company&apos;s latest Investor Presentation. The directors of Nova Minerals Limited (ASX:NVA) (FRA:QM3) on behalf of Snow Lake Resources Ltd are pleased to announce an update on Snow Lake Resources Ltd. The directors of Nova Minerals Limited (ASX:NVA) (FRA:QM3) are pleased to announce encouraging drill results at the Officer Hill Gold Project in joint venture with Newmont Tanami Pty Ltd (a wholly owned subsidiary of Newmont Mining Corporation). 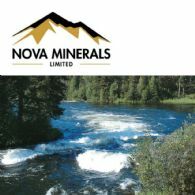 The directors of Nova Minerals Limited (Nova or Company) (ASX:NVA) (FRA:QM3) on behalf of Snow Lake Resources Ltd are pleased to announce Initial phase of rock chip sampling at Sherritt Gordon records values of up to 3.78% Li2O. 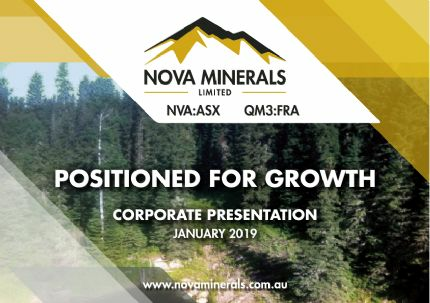 The directors of Nova Minerals Limited (ASX:NVA) (FRA:QM3) on behalf of Nova&apos;s newly created Snow Lake Resources Ltd are pleased to confirm that strong demand and firm commitments have been received for C$1M seed capital raising (Seed Financing C$1M @ $0.25 Unit w/ 1/2 Warrant at $0.30). Further Flow Through Funding of up to C$3M is anticipated to be received before the close of calendar 2018. Nova Minerals Limited (ASX:NVA) (FRA:QM3) is an Australian company with interests in a portfolio of mineral projects at exploration stage with focus on North America (Manitoba, Canada and Alaska, USA) and one joint venture project located in Australia that are prospective for lithium, gold, nickel, cobalt and other precious metals, base metals and REE&apos;s.
The directors of Nova Minerals Limited (ASX:NVA) (FRA:QM3) announce today an on-market buy-back of ordinary fully paid shares in the Company up to a value of $500,000. The directors of Nova Minerals Limited (ASX:NVA) (FRA:QM3) announce a corporate update across the company&apos;s project portfolio. 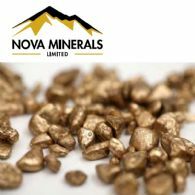 The Directors of Nova Minerals Limited (ASX:NVA) present their report for the year ended 30 June 2018. Following the decision by Newmont Tanami Pty Ltd (a wholly owned subsidiary of Newmont Mining Corporation) to form a joint venture with Nova Minerals Limited (ASX:NVA) (FRA:QM3) in relation to the Officer Hill Gold Project, the directors of Nova are pleased to provide details of the proposed exploration program for the remainder of 2018. The directors of Nova Minerals Limited (ASX:NVA) (FRA:QM3) are pleased to provide an update on the Thompson Brothers Lithium Project. A new zone of spodumene bearing outcrops has been identified as part of Sherritt Gordon pegmatite cluster. The directors of Nova Minerals Limited (ASX:NVA) (FRA:QM3) are pleased to announce that its 2018 exploration field season has commenced with a Reverse Circulation drilling program underway at the Estelle Gold Copper Project in Alaska. 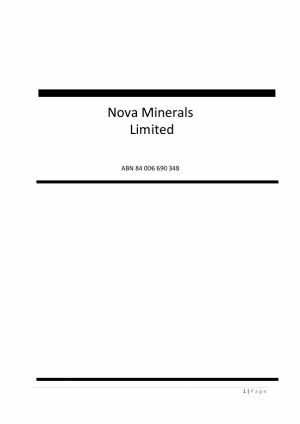 Nova Minerals Ltd (ASX:NVA) provides the Company&apos;s CEO Letter to Shareholders. 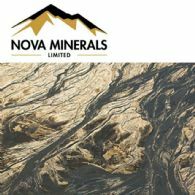 Nova Minerals Ltd (ASX:NVA) provides the Company&apos;s Quarterly Activities and Appendix 5B for the three month period ended 30 June 2018. The directors of Nova Minerals Limited (ASX:NVA) (FRA:QM3) are pleased to advise that Newmont Tanami Pty Ltd (a wholly owned subsidiary of Newmont Mining Corporation) has elected to proceed with the joint venture on the Officer Hill Gold Project. 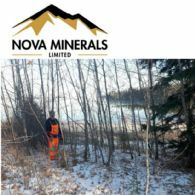 The directors of Nova Minerals Limited (ASX:NVA) (FRA:QM3) are pleased to report that they have resolved to pursue a strategy of listing its wholly owned subsidiary Snow Lake Resources Ltd. on the TSX Venture Exchange. Upon restructure, Snow Lake through its subsidiaries to have the right to earn 80% of the Thompson Brothers Lithium Project and 100% owned adjoining Crowduck Lithium Project in Canada. The directors of Nova Minerals Limited (ASX:NVA) (FRA:QM3) are pleased to announce a maiden inferred lithium mineral resource for the Thompson Brothers Project in central Manitoba, Canada. 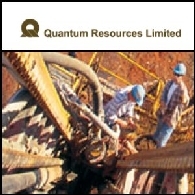 Australian Market Report of October 6, 2010 includes: Quantum Resources Limited (ASX:QUR) Gardner Range exploration program is underway; Tissue Therapies Limited (ASX:TIS) was granted the third core VitroGro (R) patent in US; International Finance Corporation commits to further investment in Gryphon Minerals Limited (ASX:GRY); Alkane Resources Limited (ASX:ALK) drill results confirm continuity of gold mineralisation in NSW.